We use digital radiographs which provide instant, quality images that may be enhanced for more precise diagnosis. This technology reduces radiation by up to 90% as opposed to traditional x-rays. 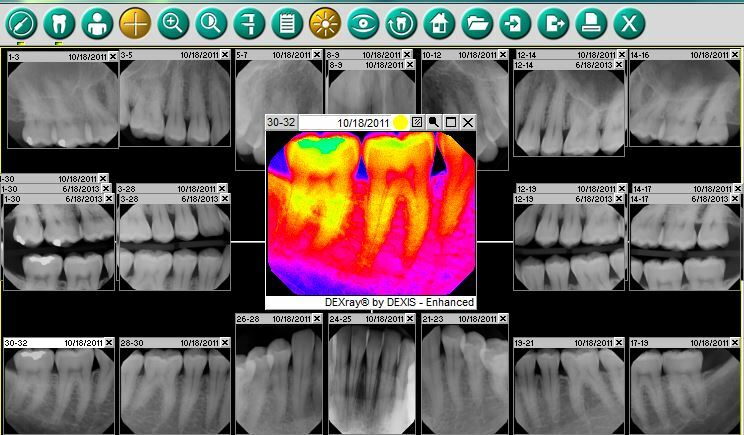 With the advent of the Nomad Pro 2, there is no need for the technicians to leave the room while taking x-rays. Digital radiology eliminates the need for developing chemicals making it environmentally friendly. 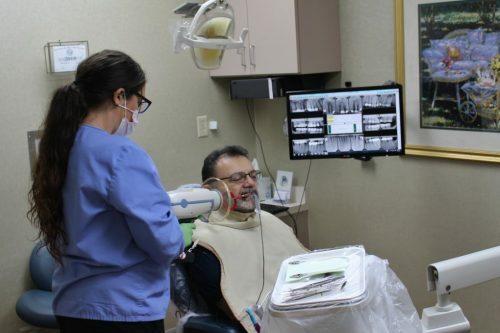 Together, Dr. Aucoin and his patients can review and discuss x-rays that are enlarged on a screen. Images taken digitally can easily be electronically transmitted to insurance companies or specialists for referrals and co-diagnosis.